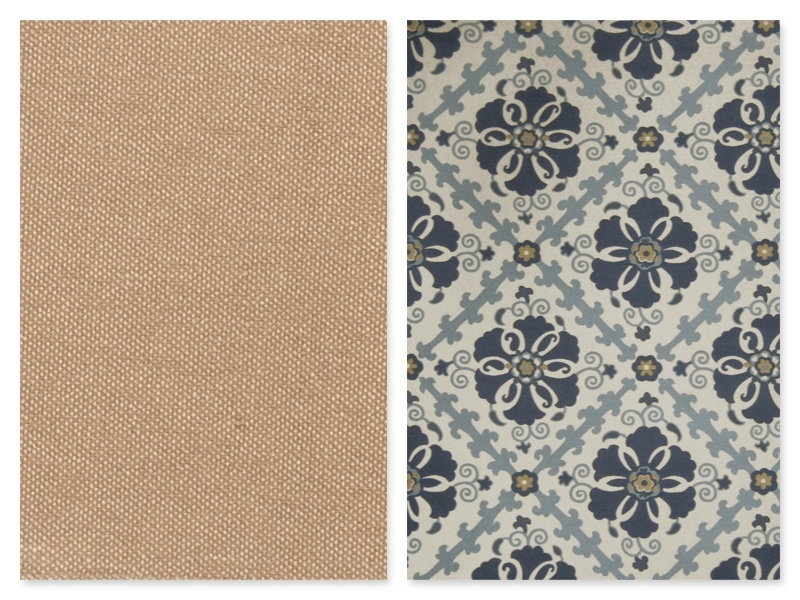 What happens when you take a “vintage” sofa and chair – who had clearly seen better, more fashionable days – and introduce them to some simple yet stunning Trend Fabrics? Why, nothing short of fabulous. 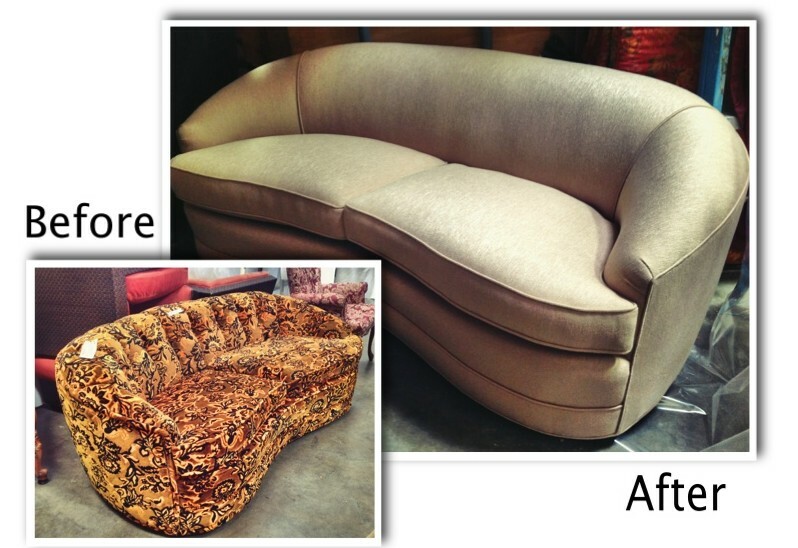 If you yourself do not have one, chances are you have seen one before: we’re talking about the old, threadbare sofa that sits – rather forlorn – in a living room or den. 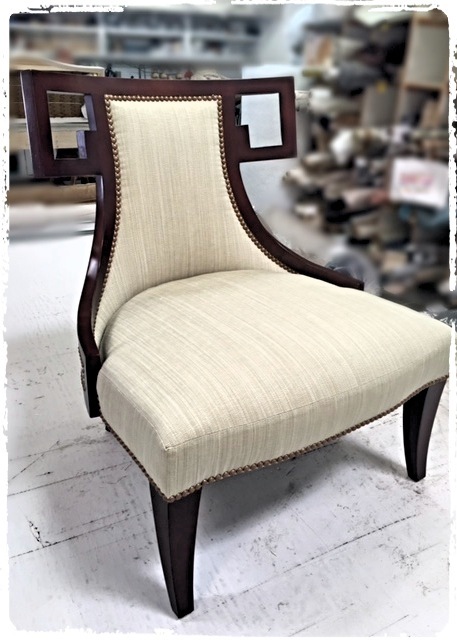 Recently, we here at Judy’s Custom Workroom had a client send us their old piece for a rework. 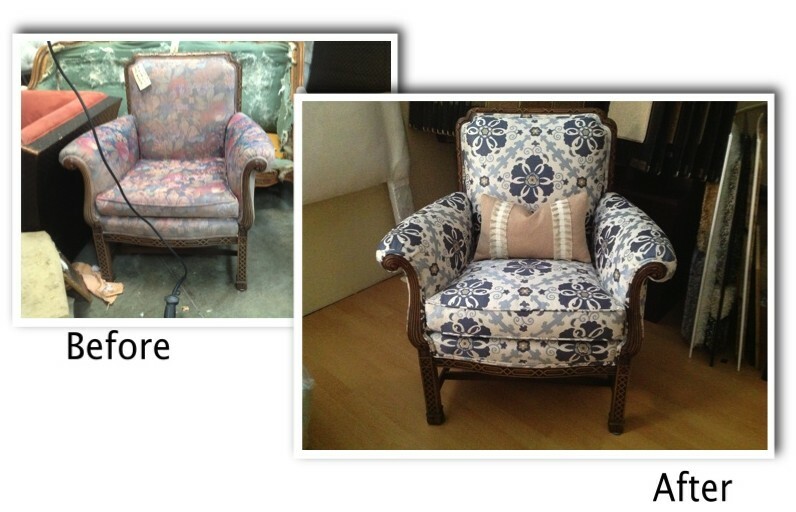 After a bit of time getting re-upholstered in our workroom, you will not believe what it looks like now! 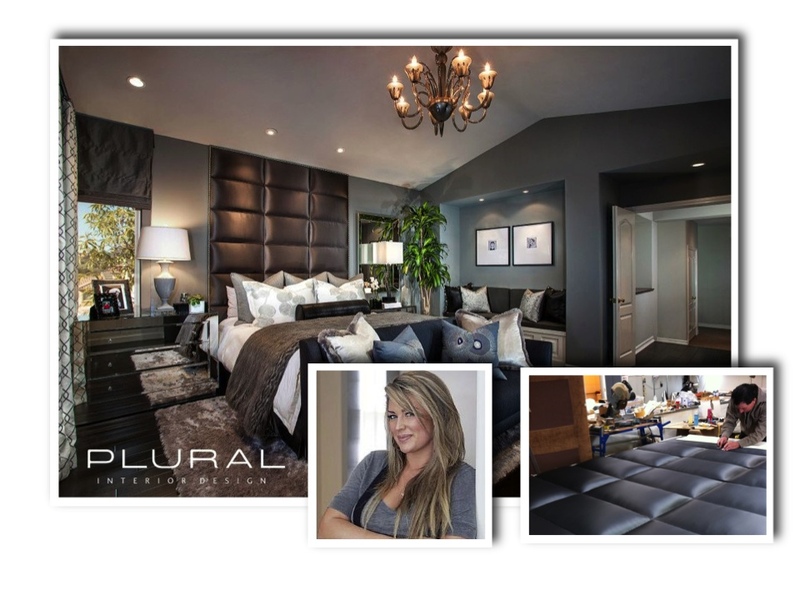 Stephanie Cook of Plural Design recently came to Judy’s Custom Workroom with an inspiration photo and a vision for a glamourous, modern master retreat. 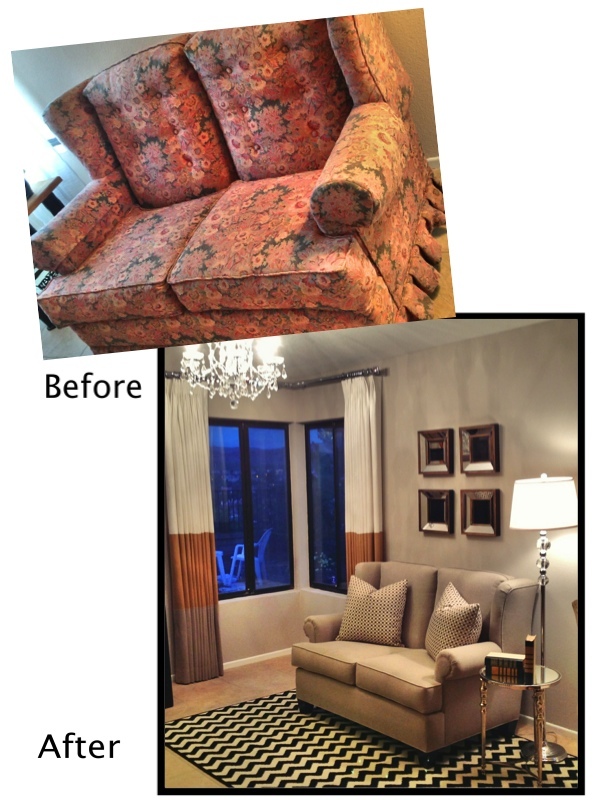 She wanted us to create a large-scale headboard that almost looked as if it was an upholstered wall when installed. The finished piece turned out beautiful and really gave the room that hotel-feel that Stephanie wanted. 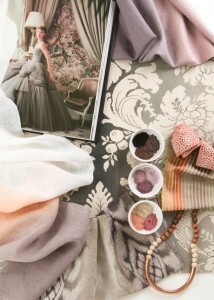 She also had us make a fur throw for the luxurious bedroom. We can’t wait to see what Stephanie brings to us next! 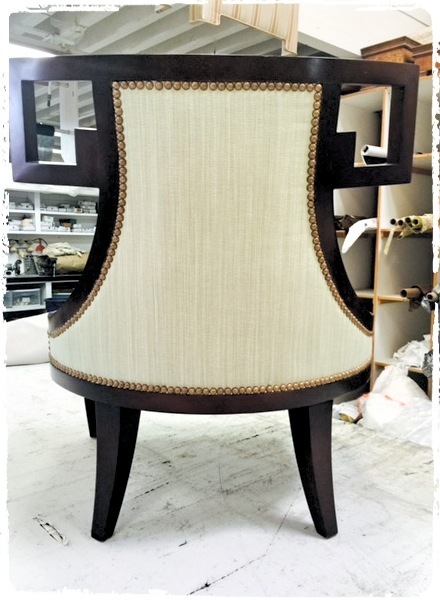 We love it when our designers are so excited about their custom creations.